Following several months of support and assistance towards making their business a reality, the young entrepreneurs from the Poissy office of Positive Planet, just outside Paris, have been awarded their "Jeunesse d'avenir" (Youth of the Future) course certification. On November 23, 2017, eight young entrepreneurs spent the day at AccorHotels’ Parisian headquarters. Supported by the Poissy office of Positive Planet, these young people have received assistance with starting their own business as part of the program "Business Creation in the Suburbs", which acts against exclusion and poverty by helping people who live in deprived neighborhoods turn their business ventures into reality. Solidarity AccorHotels has been supporting this program since 2016. 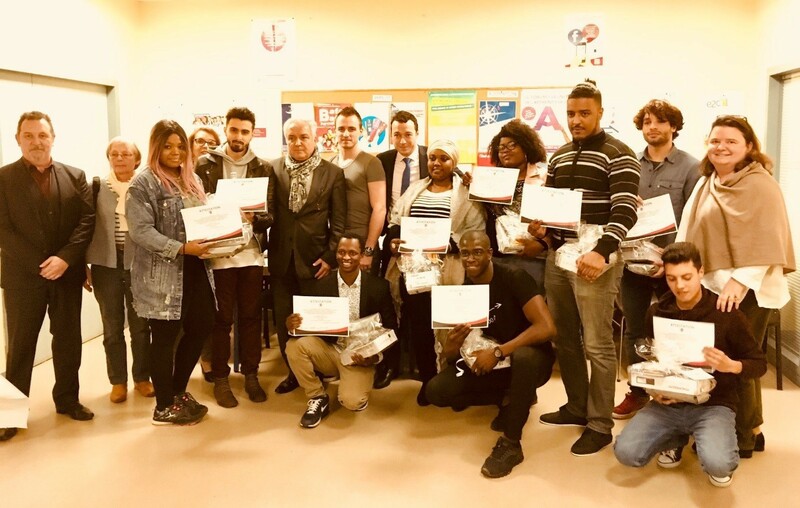 Two employees from the Paris headquarters assisted these young people by organizing marketing workshops tailored to their business projects. Audited by Certivéa in late 2017, the Sequana Tower, the Group’s headquarters in Issy-les-Moulineaux near Paris, has retained its HQE (High Environmental Quality) Operation Certification and achieved “Excellent” in three areas: Sustainable Building, Sustainable Management and Sustainable Usage. This performance was a significant improvement on the previous year and was made possible thanks to the efforts of the Working Environment teams and all the employees who recycle and contribute to the smooth operation of the building on a daily basis. The label “NF HQE in Operation” testifies to the intrinsic quality of the buildings’ environmental performance, as well as the skills of professionals in the technical operation and usage of enclosed areas. The certification is valid for 5 years, although on-site audits and documentary verifications are carried out once a year. 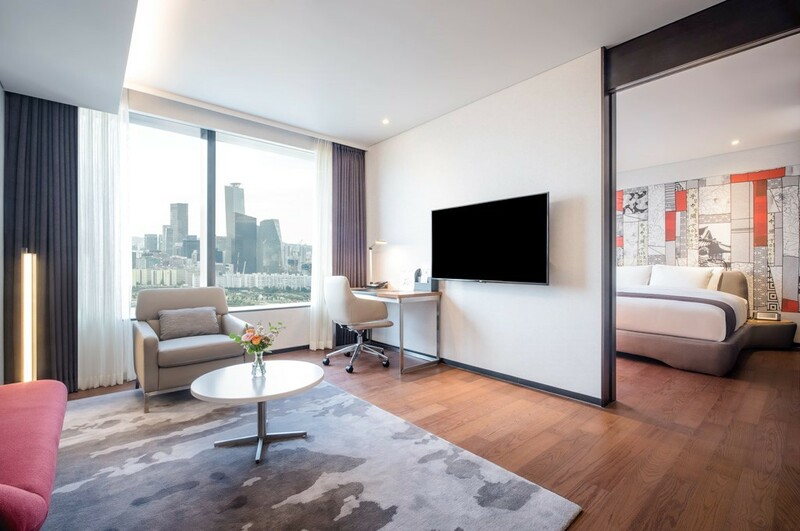 The Sequana Tower’s current certification covers the period from 2016 to 2021. On Monday February 5, 2018, the celebrated Michelin Guide unveiled the list of restaurants recognized in the 2018 Edition. Five gastronomic restaurants from AccorHotels Group’s upscale and luxury hotels have been accorded the privilege of receiving a Michelin 2018 star. Inspectors from the Michelin Guide have recognized the hard work of five Chefs for the delicacy and originality of their cuisine. The restaurant Il Carpaccio at the Royal Monceau – Raffles Paris, the restaurant Le 1912 at the Cures Marines de Trouville and its Chef Johan Thyriot, as well as the restaurant Le Magasin aux Vivres at the Hôtel La Citadelle based in Metz and its Chef Christophe Dufossé have all retained their stars. 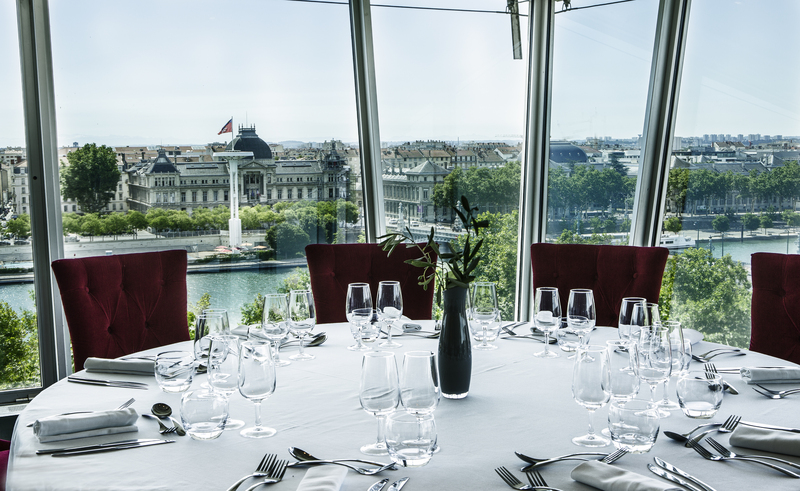 The restaurant Les Trois Domes, located on the top floor of the Sofitel Lyon Bellecour has kept its star for thirteen years, thanks to the cuisine of Chef Christian Lherm who focuses on the perfect pairing of food and wine. While the Winter Olympics are in full swing in PyeongChang, South Korea is center stage in early 2018 as it welcomes many visitors who have come to see the world’s leading athletes. Last October, AccorHotels opened a spectacular hotel complex that brings together four of the Group’s brands: Grand Mercure, Novotel Suites, Novotel and ibis Styles. Between them, the quartet boasts 1,700 rooms, 11 bars and restaurants, and 17 meeting rooms. On the 31st floor is the King’s Vacation lounge bar, whose golden-hued design, embellished with lavish mirrors, subtly evokes the feel of Europe’s most beautiful palaces. It is the ideal location to enjoy snacks and refreshments alongside an indoor pool: a space that is both original and congenial, boasting spectacular views of Seoul. This is the biggest sporting event that Australia will host on its shores this decade. Between April 4 and 15, the Gold Coast 2018 Commonwealth Games will attract almost one and a half million spectators this year. To mark the occasion, the Novotel Surfers Paradise has undergone a refurbishment to welcome its visitors in new designer spaces, bringing to mind the laid-back lifestyle of Australia’s Pacific Coast and the State of Queensland. Ideally situated just 150 meters from the famous Surfers Paradise beach, the hotel is also located within easy reach of the city center. 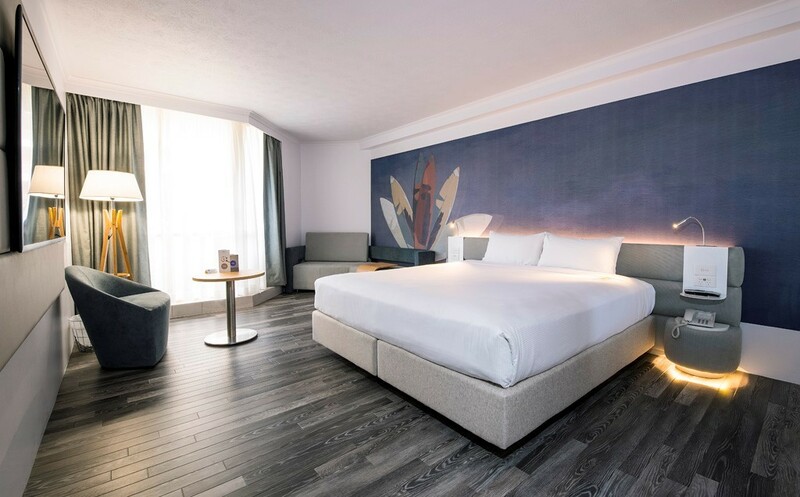 The 408 rooms, whose decor evokes the natural environment of the region, have been modernized, improving both connectivity (in-room WiFi, USB ports) and comfort. All rooms include small private balconies offering magnificent views of the ocean and the inland landscape. The hotel also features an outdoor pool, a tennis court and a fitness center: enough to keep guests busy between two sporting activities. Hanlan’s Restaurant, which is open every day, offers a lavish breakfast as well as a delicious seafood buffet that can be savored in the evening. Guests can also enjoy a drink while they relax beside the pool. ibis Styles Laval Centre Gare – a haven for fans of equestrian sports! 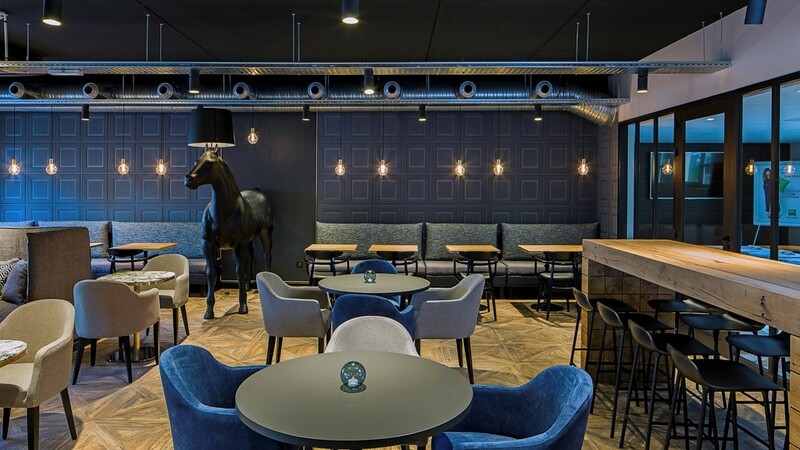 Just a few weeks ago, the equestrian-themed ibis Styles Laval Centre Gare opened its doors for the first time in the city of Laval, famous for its racecourses. The hotel’s 50 rooms, both modern and welcoming, provide everything that is required for a successful stay: high-speed Wi-Fi, a 32-inch LCD TV and a large desk. In terms of decor, the predominance of wood in the lobby and rooms creates a warm atmosphere and is balanced out by the darker tones evoking the iron used in horseshoes. The hotel also features a bar, open seven days a week, perfect for enjoying a drink with friends or family or for a business meeting.